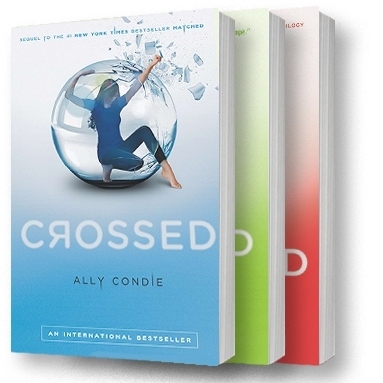 The second of three successive book review features on Ally Condie's young adult dystopian series Matched / Crossed / Reached. Click here to read my review of Matched. "In the end you can't always choose what to keep. You can only choose how you let it go." In the second installment in Condie's trilogy, Cassia and Ky take turns narrating their separate adventures as they try to find their way back to each other. I enjoyed the change in format with the alternating narrators, though overall I found this book to be less engaging than the first one. Distraught at the turn of events at the conclusion of Matched, Cassia has found temporary respite in the Society's work camps though she finds her mind often wandering to her home, to her relocated family, to Xander (the boy she left behind), and mostly to Ky (the boy the Society took from her and relocated to the Outer Provinces). While in the work camps, Cassia learns of underground Society citizens who work as archivists and can be bribed with trades to reveal Society secrets. Cassia tries to trade for a Society map--one she hopes will lead her to Ky's location--but her efforts fail and she impulsively teams up with a mysterious girl named Indie to escape. Once Indie and Cassia are on the lam, they must decide if they can trust each other as they journey to the canyons in hopes of finding Ky and safety from the Society's all-watching eyes. In the audiobook version, Jack Riccobono joins as the voice of Ky narrating his life in the Outer Provinces. Ky is forced to participate in the war the Society is waging against the unknown enemy. Soldiers' days are numbered as the attacks continue, but Ky can't leave the dead behind without trying to give them each a proper burial. When he his friend Vick meet the war's new reinforcements--a group of incoming soldiers barely older than children--they know they have to escape in order to survive. In their flight, Ky saves Eli, a thirteen-year-old boy the Society would have otherwise sent to his death. 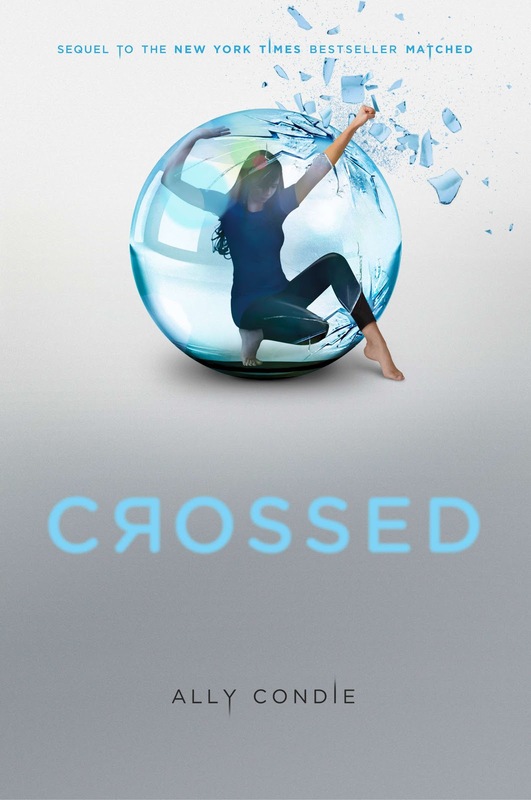 I liked learning where Ky was and what was happening on the edge of this crumbling society, but the gravity of the war he faced made Cassia's situation seem trivial and self-imposed. In one area, Ky, Vick, and Eli are on the run from the war. In another, Cassia and Indie are on the hunt to find the rebellion forces and reunite with loved ones. At the same time, Xander remains left behind. Further upping the stakes, a mutating plague has begun to spread throughout the Society and is infecting both loyal citizens and rebels alike. No one is sure of a cure. The premise is a great one and the news of an uncontrollable plague peaked my interest in the conclusion of the series, but some moments of action lacked clarity and I kept feeling like reunions and other plot points seemed to occur far too conveniently. That being said, readers are left wondering what has happened to Xander and Cassia's family, who the enemy is, if the rising rebellion will work, and how the Society will ultimately be destroyed. Because I wanted to know how the rebellion and the Society would come to a head, I carried on with the third book and hoped for the best, though I can understand why some readers (likely those such as myself who are uninterested in YA love plots) would choose to stop here. Many readers invested in the resolution of the Cassia-Ky-Xander love triangle, however, will be keen on finding out if Xander can win back his place in Cassia's heart once she learns the truth of his role in the Society and the rebellion. Check back later this week for the book review of the final installment in the Matched series, Reached. Have you ever read one of Ally Condie's novels?